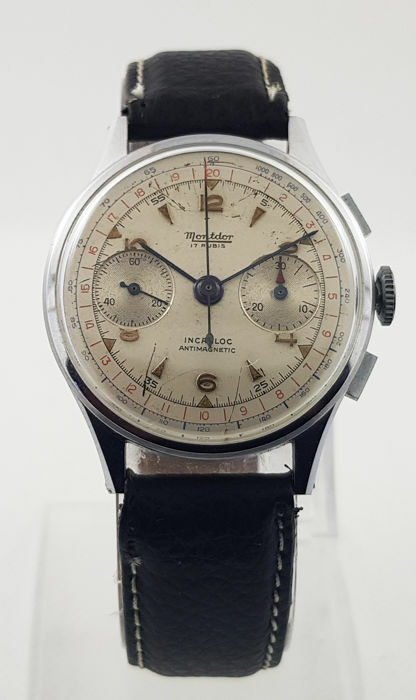 Chronograaf - "NO RESERVE PRICE"
Vintage Montdor chronograph, probably from the 1950s. 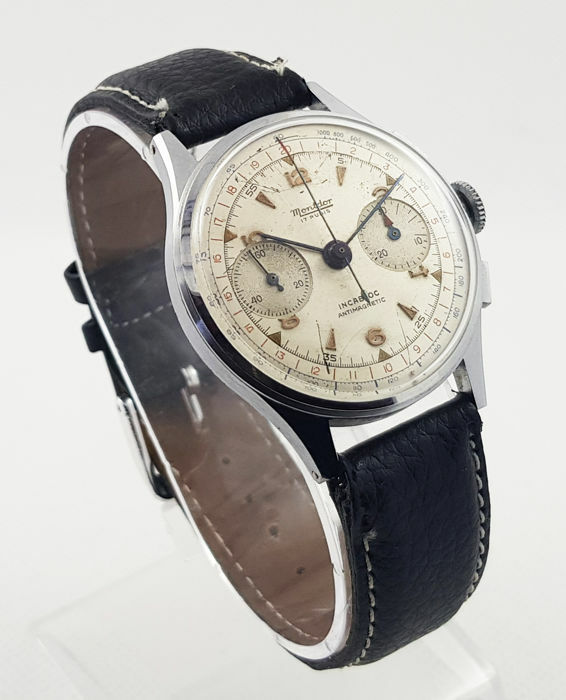 The watch is in fine vintage condition. 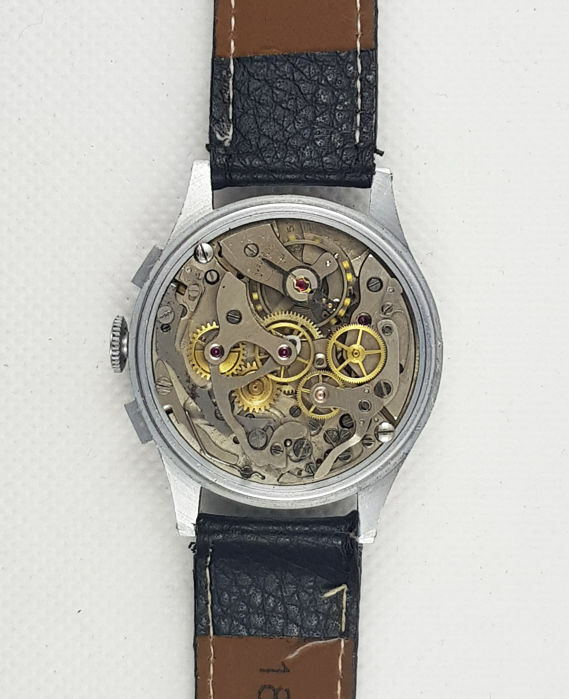 The Landeron 51 movement runs well (deviation of less than 1 minute per day), adjustment of the time and winding mechanism works smoothly. 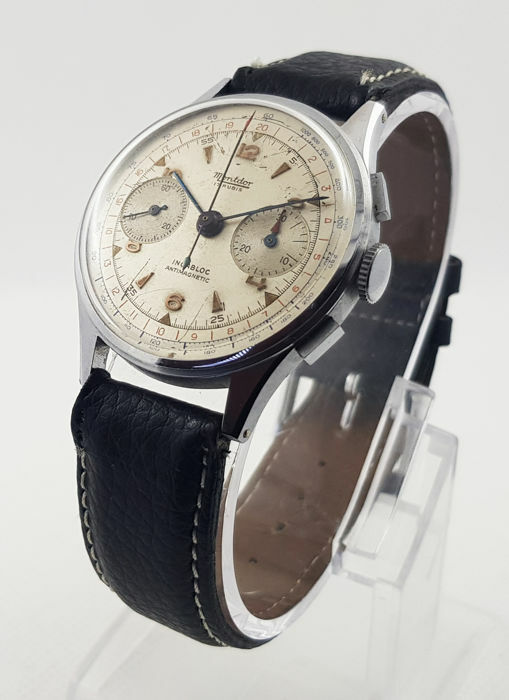 The chronograph also works well. The watch comes with a leather strap. The watch will be shipped by registered and insured post. You can pick up this lot from the seller: Vleuten, Netherlands.